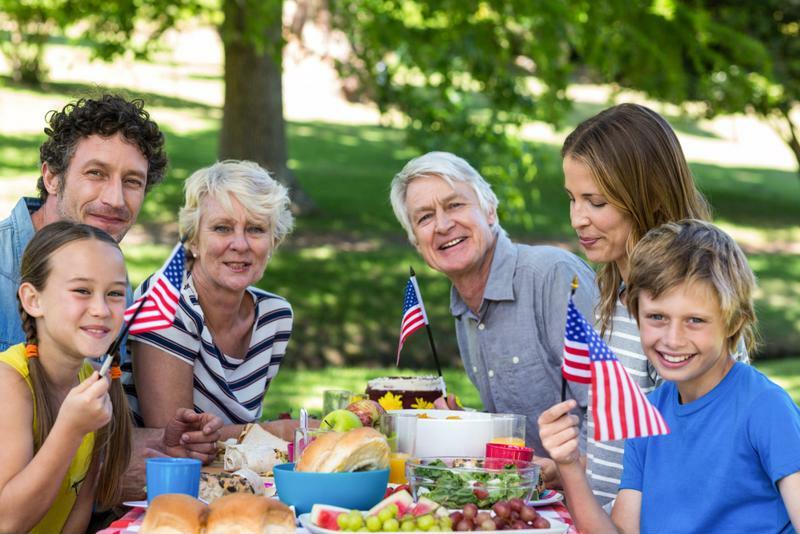 Memorial Day weekend is right around the corner and with it comes thoughts of sunshine, barbeques and time spent celebrating outdoors with family and friends. Whether you'll be hosting the big party this year or hitting the road to take part in celebrations elsewhere, you're going to want to be equipped with some truly festive treats and dishes. With the help of your trusty Sunbeam® Heritage Series® Stand Mixer, you'll have the quality performance, reliability and power you need to craft each of these holiday-themed recipes. 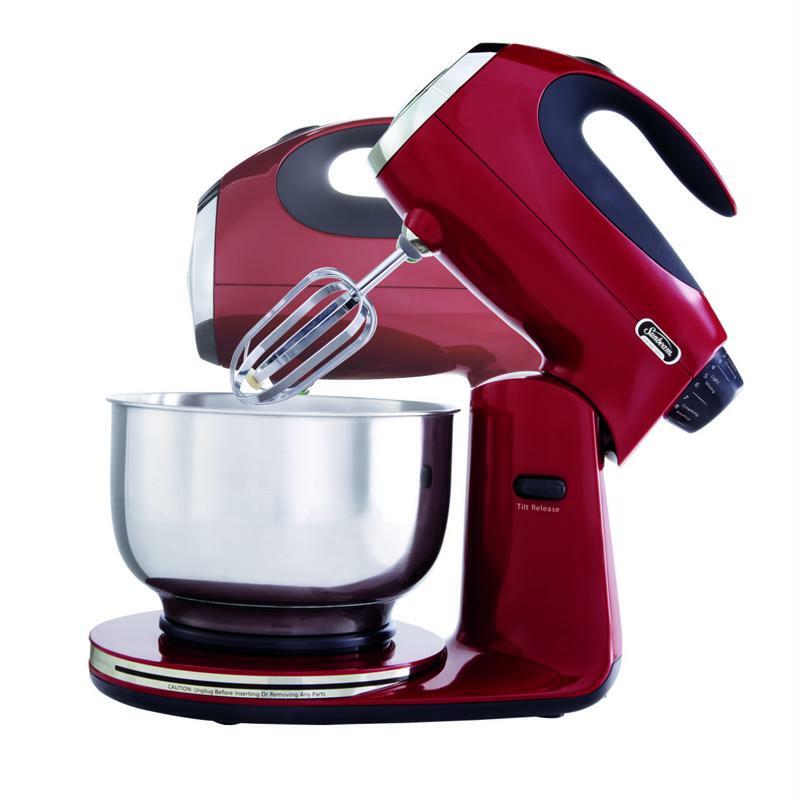 The task of mixing anything from potatoes to cake batter becomes that much easier with the precision and power of this stand mixer. Complete with a 350-watt motor, three-speed mixing action and 12 different speeds, you gain versatility for nearly any dish you want to make. Both the free-spinning bowl and off-center bowl position reduce scraping for better incorporation of ingredients. This makes it easier than ever to slowly mix all ingredients, no matter how slowly the recipe requires. And with the included two chrome hooks and two dough beaters, you never run out of options. This Memorial Day weekend, try out one of these three festive recipes that will be a huge hit with any barbecuing crowd. This recipe for strawberry shortcake not only tastes amazing, but looks it too! 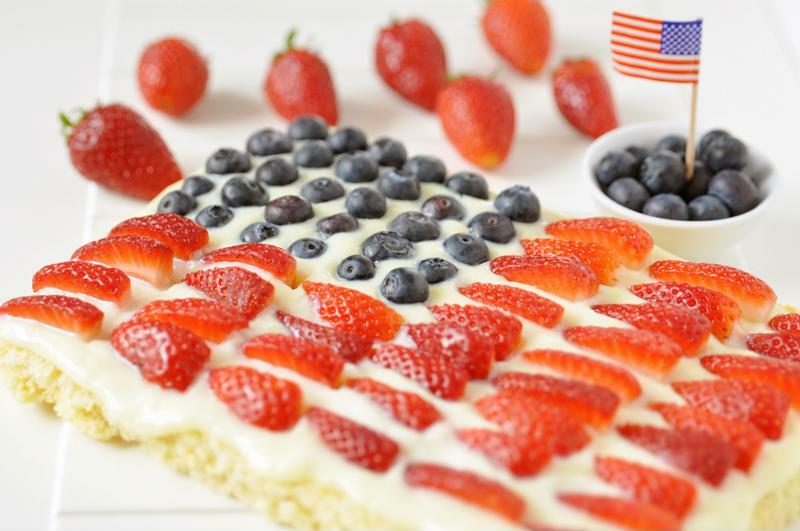 Using fresh blueberries and strawberries to form the American flag over vanilla frosting, this is one dessert that may just look too beautiful to eat. In a mixing bowl, sift your flour, baking powder and salt together. Set aside. In the bowl of your stand mixer, combine the vegetable oil, water, lemon zest, vanilla extract and 1 1/3 cups of sugar. Whip on medium speed until mixture is light in color and airy - for about 5 to 7 minutes. Turn mixer off and scrape down sides of the bowl. Add dry ingredients and whip for 1 more minute, until smooth. In a new, clean bowl whip egg whites to medium peaks. Add remaining 1/4 cup sugar and whip until stiff peaks form, about 1 minute. With a rubber spatula, fold 1/4 of egg whites into cake batter, until fully incorporated. Gently fold in remaining egg whites until almost combined. Bake for about 30 to 35 minutes, until toothpick comes out clean. Let cool. Remove from pans and frost one cake with 1 jar of frosting. Layer with 3/4 cup of strawberries and place unfrosted cake on top. Forming a square, arrange blueberries in the top left corner. Arrange strawberries evenly to create the American flag. This light and fluffy lemon cake is the perfect picnic or barbeque dessert. Once it's cooled add a few mini American flag toothpicks on top for a festive touch. 3 1/2 tablespoons freshly squeezed lemon juice. Preheat oven to 350 degrees and prepare two bread loaf pans. Using the paddle attachment of your stand mixer, cream the butter and 2 cups of the sugar until fluffy, for about 5 minutes. Turn the mixer to medium speed and slowly add eggs one at a time with lemon zest. Sift together the flour, baking powder, baking soda, and salt in a bowl. In another bowl, combine 1/4 cup lemon juice, the buttermilk, and vanilla. Add the flour and buttermilk mixtures alternately to the batter, beginning and ending with the flour. Divide the batter evenly between two pans and smooth the tops. Bake for about 45 minutes to 1 hour, until toothpick comes out clean. Allow cakes to cool for 10 minutes when done. Combine 1/2 cup of the sugar with 1/2 cup lemon juice in a small saucepan. Cook over low heat until sugar dissolves completely. When cakes are cooled, remove from pans and set on rack over a tray. Spoon the lemon syrup over them and let cool completely. For the glaze, combine the confectioner's sugar and the lemon juice together in a bowl. Mix with a wire whisk until smooth. Pour the glaze over the tops of both cakes, allowing it to drizzle down the sides. Slice lemon cakes for the festivities and enjoy! Whip up these festive recipes for the entire family to enjoy this Memorial Day weekend. 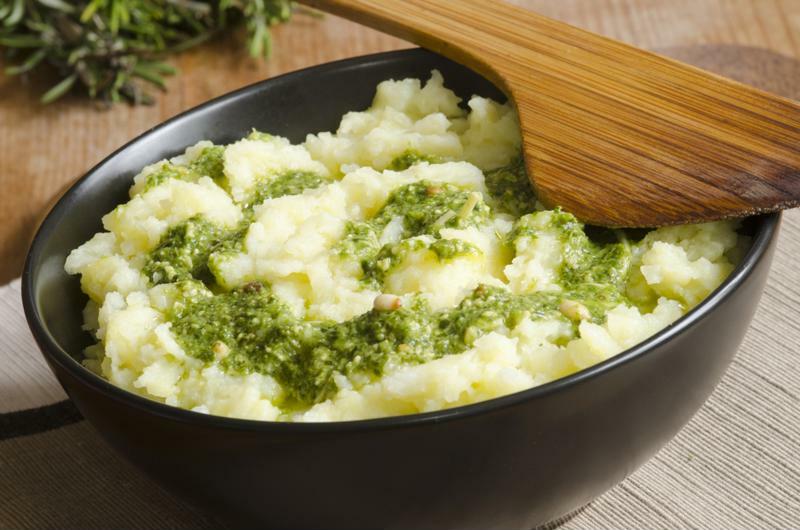 Though the traditional potato salad is often a staple at summer barbeques, why not spice it up this year and bring mashed potatoes topped with pesto to the Memorial Day event? Bring water with salt to a boil. Add chopped potatoes and cook for about 15 to 20 minutes, until tender to the touch with a fork. Warm your mixer bowl and flat beater with hot water and then dry. Add hot potatoes to bowl and mix on medium speed. Slowly add in milk, butter and salt and continue mixing until well combined. Carefully fold in pesto very lightly to streak potatoes. Consider this guide for all you need to know to properly care for your favorite Sunbeam® blankets and bedding. Wrap up the gift of convenience, reliability and trust in everyday solutions with one of the many Sunbeam® kitchen appliances. Try out these donut recipes right in your own kitchen with the Sunbeam® Tasty Treats™ Dozen Donut Maker.